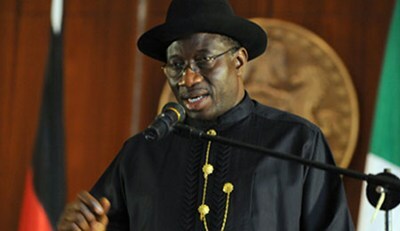 President Goodluck Jonathan yesterday took up critics of his trip to Brazil to attend the United Nation's Earth Summit Rio+20 despite the troubling security situation in Kaduna and Yobe States, which both came under terrorist attacks a few days to his departure. Jonathan, in a statement by his Special Adviser, Media and Publicity, Dr. Reuben Abati, from Rio de Janeiro, dispelled criticism that his trip amounted to abdicating his responsibility to Nigerians. He also cautioned the opposition against cashing in on every crisis in the country to score political points. He said before his departure for Brazil on Monday, he had met with security chiefs and was satisfied with their plans to control the security situation in Kaduna and Yobe, where Boko Haram had launched attacks on troops deployed in the state, shortly before the president’s departure. “The crisis in Kaduna and Yobe occurred almost on the eve of the president's departure for this event and commitments had been made,” the presidential statement said, adding: “The conference, Rio+20, is very important and nobody can doubt that. “The issues that will be discussed at this conference are also issues that are relevant to Nigeria's interest. It is also an opportunity for Nigeria to promote its interest in terms of its place in global community. “In any event, it is not as if government has abandoned the situation at home. Security agencies are there, they are on top of the situation. Before the president left, he met with security chiefs. The business of leadership cannot just stop because there is a crisis there. “I think what we can do is to appeal to the opposition not to always play politics with everything; that is the major challenge we face, people always want to play politics with everything. The president is dumb so also his cabinet members. Couldn't it have made more sense to cancel the trip and send delegates? This has really shown that the President is just there for his own selfish reasons. We have gotten a stage in this country where the only two things that matter is God and urself. Which man leaves his roof under fire for neighbour to quench the fire? There is no amount of our post that will get to them but someday all this will come to an end. What difference does it make? Whether he's in the country or not, nobody feels his presence. He can go to hell for all that I care. President by name.